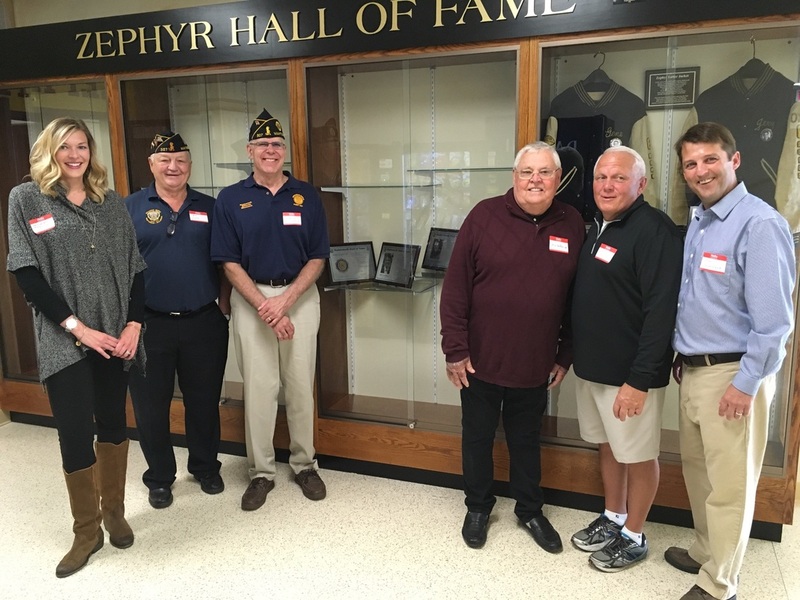 The Mahtomedi High School Hall of Fame nominees for 2016 were inducted at half-time at the 7:00 pm Mahtomedi-St. Thomas Academy football game Friday, September 2, 2016 (Zephyrs WON 19-7). Click here to see Jerry's induction at halftime. Congratulations to the newly enshrined members and organization of the MHS Athletic Hall of Fame. It was a wonderful night for the induction ceremony and banquet, held prior to, and at halftime of the Zephyr vs St. Thomas game at George Smith Field. Here are pics of the event. Thanks to Gene "Butch" Rabel for the pics.